This short newsletter is meant to remind you that today is the final discussion day of the EPALE Migrant Education Week. The topic for today is Solutions to supporting learners with a migrant background access and successfully complete adult education programmes. Discussions so far have been very intense. Tuesday’s topic was Experiences of what works for different migrant communities in adult education, on Wednesday the discussion focused on Challenges and obstacles for migrants to access and complete adult education. On Friday, April 29 the summary of all three discussions will be published on the EPALE site. Join today’s discussion here! 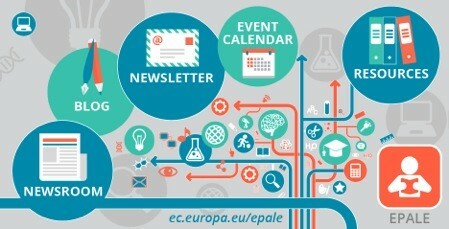 You can find some related EPALE blogs and resources collected below, alongside with an upcoming event in Italy. What role does adult education play in the current refugee crisis in The Netherlands (and Europe)? How can education help immigrants? The Dutch EPALE team found you some good practices, inspirational stories en good ideas from around the world. One of our Dutch EPALE ambassadors did a series of interviews with educational professionals that are (former) immigrants or refugees themselves. Mar Camarasa i Casals is the Research and Innovation Officer at a women’s foundation in Spain. Mar was involved in a project called ‘FORWARD’ whose aim was to promote the participation of migrant women in adult education. This learning concept is adapted for Norwegian language learning by Toril Kristin Sjo, Senior Lecturer at the Department of Linguistics and Scandinavian Studies at the University of Oslo in collaboration with Vox. She has developed a comprehensive training method including guidance and videos showing how to run speaking exercises. The oral approach is suitable for language training regardless of previous knowledge. It involves a lot of interaction and collaborative learning. Vox is using this approach when training volunteers to become language trainers for new refugees and immigrants. Primo Laboratorio di Formazione Istruzione Degli Adulti "LaboratorIDA_01"
Il 2 Maggio 2016 a Lucca si svolgerà il Workshop organizzato da EdaForum all'interno del Laboratorio di Formazione delle Reti toscane CPIA (Centri Provinciali per l'Istruzione degli Adulti) e RISCAT (Rete Istituti Secondo Ciclo Adulti Toscana) all'interno del Complesso di San Micheletto, Via S. Micheletto n. 3. Uploading items to EPALE is continuous and the contribution of the EBSN Network is very valuable. That is why we are regularly asking for your input, so please continue sending us materials and information summary about each resource (also in the language of the resource), event and piece of news.